2012 is Target’s 50th anniversary—marking five decades of innovations and retail revolutions. Below, we celebrate Target’s legacy with nods to the past and a look ahead at exciting new things to come. 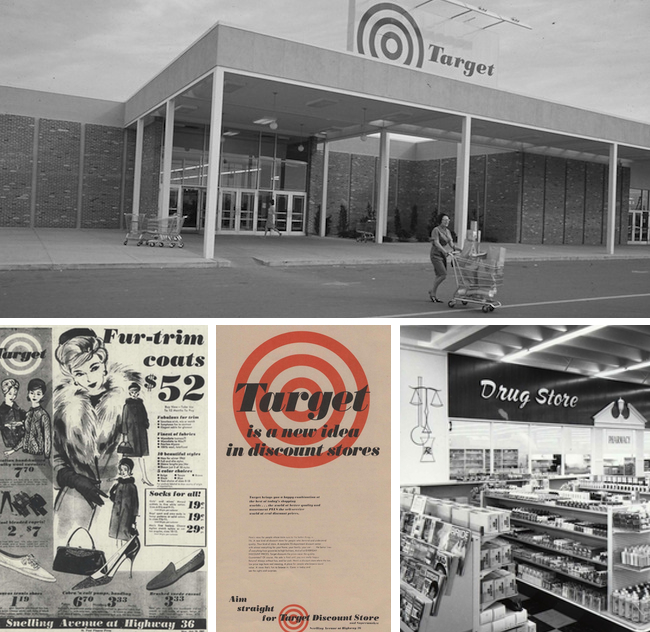 1962: Target opens its first store in Roseville, Minn. By the end of 1962, Target opens three more locations in the Twin Cities and one location in Duluth. 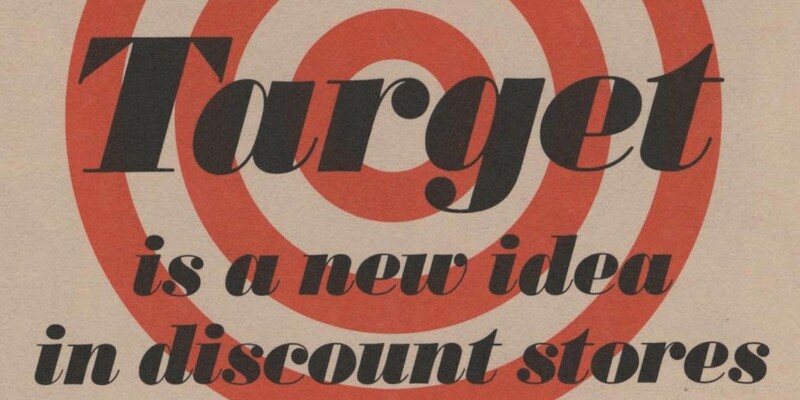 1968: To create a consistent brand, Target streamlines the original Bullseye logo. Today, 96 percent of people recognize the iconic Bullseye, even nudging out Apple and the Nike swoosh. 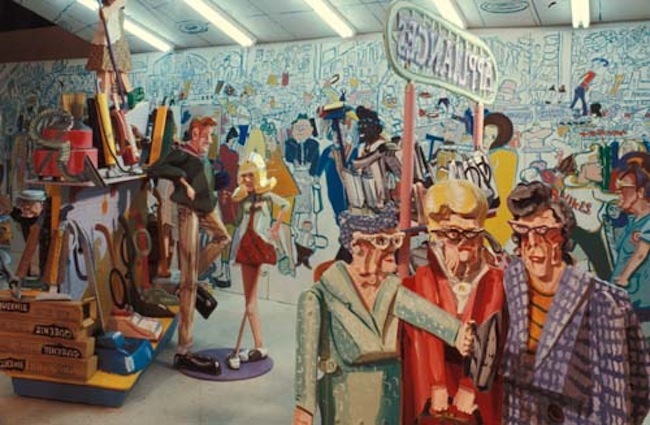 1970: Target has its first pop culture moment when the store is featured in the “The Discount Store” art exhibit by Red Grooms. 1973: The first Target TV advertisements air, bringing Target into living rooms across the country. 1975: Target introduces the “racetrack” store prototype to ensure a consistent experience from store to store, no matter the location. Target also debuts the first planogram, a “map” that helps store teams present clean, uncluttered merchandise displays. 1986: Guests meet Krinkles, Target’s first Black Friday sale door buster character. Some consider him the original Christmas Champ (but don’t tell her that). 1990: Target enters the world of racing by teaming up with Chip Ganassi Racing. 1990: The historic “What to Wear” campaign debuts—offering styling tips and explaining how to “trade into Target” by pairing affordable finds with designer wear—like a terry robe over Christian Dior silk pajamas, an Oxford dress shirt under an Austin Reed suit or a hooded sweater on top of a Maxima suede skirt. 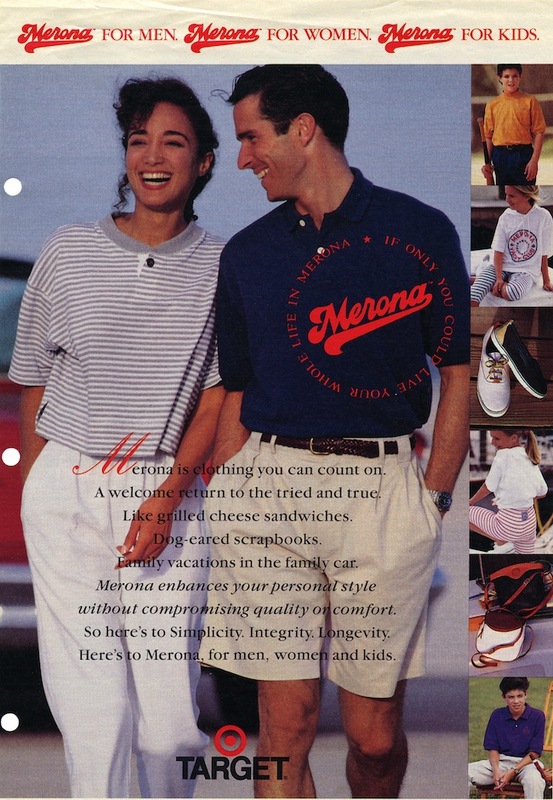 1991: Merona makes its move to Target full-time. Merona was already an established department store brand when Target bought it from Oxford industries as part of its strategy to bring guests high-quality products at value prices. First Lady Michelle Obama has been seen twice in a few Merona dresses! 1995: Archer Farms, Target’s premium food brand, takes aim at guests’ carts. 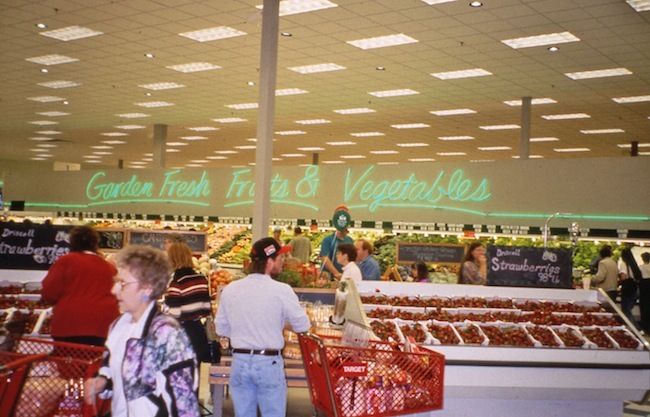 1995: One-stop shopping gets a whole new meaning when the first SuperTarget opens in Omaha, Neb. The first SuperTarget features a grocery section with fresh produce, dairy and meat. 1995: More than 125,000 couples grab scanner guns and take Target stores by storm when Club Wedd wedding registry service launches. 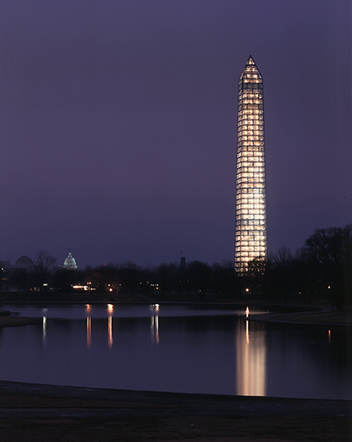 1996: The Washington Monument is in major need of a little nip and tuck (it had been more than 110 years since its original construction), so Target joins the National Park Service and the National Park Foundation’s effort to restore the Washington Monument. Target helps recruit renowned architect and designer Michael Graves to develop unique restoration approaches—including steel scaffolding covered with hundreds of gleaming lights. Target and Graves’ time together sparks a great idea that will come to fruition four years later. 1999: New York’s Times Square gets the Bullseye bug when Target begins to have a consistent advertising presence in the famous area. 1999: Target partners with St. Jude Children’s Research Hospital—one of the world’s premier centers for the research and treatment of pediatric cancer and other childhood diseases—to build the St. Jude Target House. A nurturing home-away-from-home, Target House is a supportive place for children and their families to live, play and heal during months of treatment in Memphis, Tenn. Since 1999, more than 1,377 families from 42 states and 36 countries have passed through Target House. 1999: The original Bullseye, an English Bull Terrier named Arielle, makes his first appearance in a TV commercial as Target’s mascot. 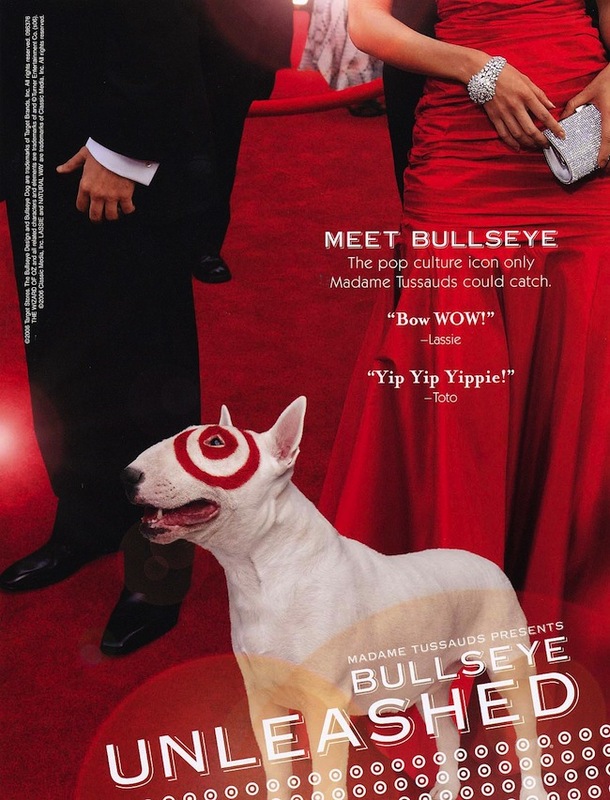 In 2006, Bullseye becomes the first dog to be immortalized in Madame Tussauds Wax Museum. 1999: A Michael Graves teakettle and Sonia Kashuk Professional Makeup Collection launch Target’s first designer partnerships. More than 75 designers have created exclusive lines of product for Target since 1999. 1999: Target.com takes the Target shopping experience online, allowing guests to shop from the comfort of their own home. 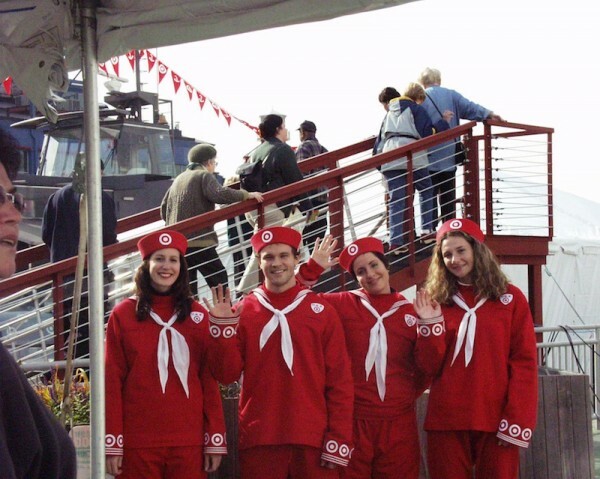 2001: In July, Target passes a major milestone with the opening of the 1,000th Target store in the U.S.
2002: In December, Target introduces one of the first-ever pop-up stores with Target Boat at Chelsea Piers in New York City. The limited-time only store may be temporary, but it leaves quite an impression. 2004: Forgot the spandex! With C9 by Champion, Target introduces an exclusive high-performance line of athletic wear and gear. In summer 2012, Target will open the first-ever stand-alone store for the brand in San Francisco, Calif., called C9 Active Apparel. 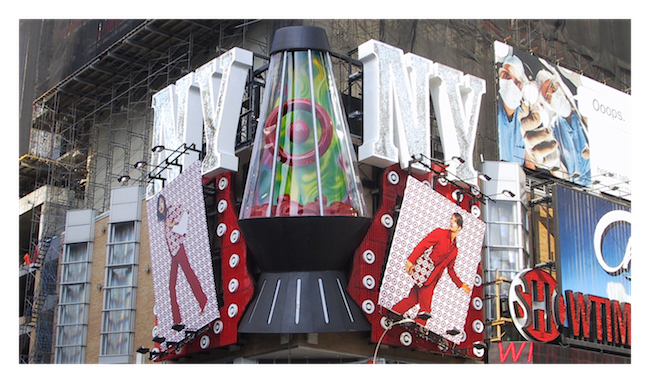 2004: New York City gets branded with Bullseyes (and barks). 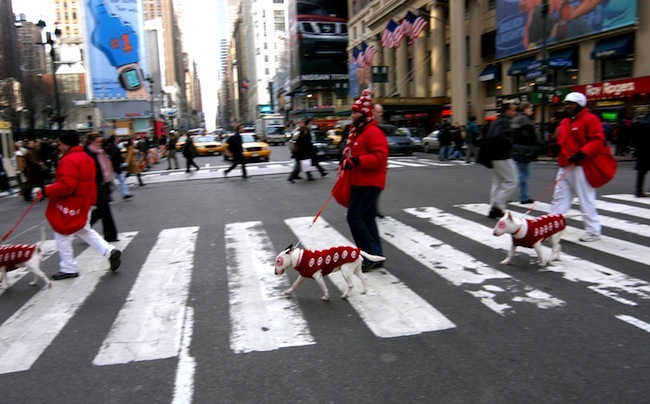 Branded Bullseye Terriers take over during the spring Westminster Dog Show and Fashion Week. 2005: After her grandmother accidently ingests her grandfather’s medicine, designer Deborah Adler partners with Target to create ClearRX, an innovative pharmacy concept that improves the way people take medication. 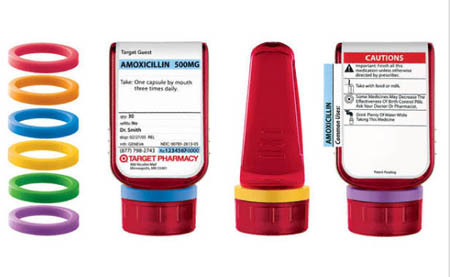 Available at Target Pharmacies, the program features an easy-to-read (and beautifully designed) bottle with color-coded rings, which help to minimize the chance of taking the wrong dose or confusing medications between family members. 2005: Why do runways have to be horizontal? Target turns the runway upside down during an electrifying Vertical Fashion Show on the side of Rockefeller Center in New York City. World-class athletes and models tower on a 100-foot catwalk, showcasing the Target fall women’s and men’s collections in a whole new way. 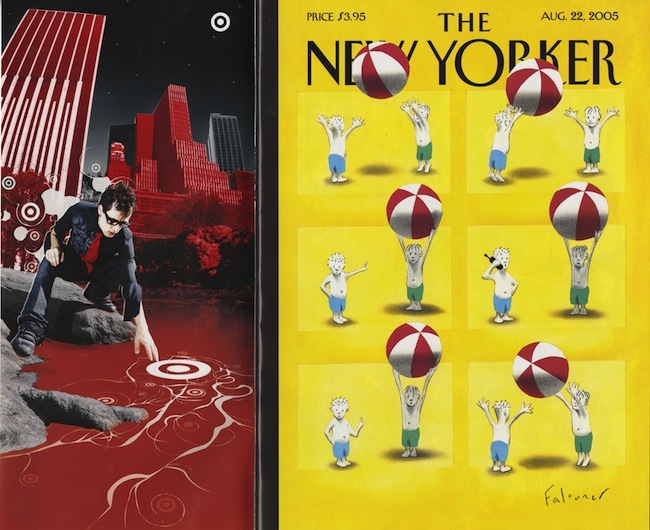 2005: Readers of The New Yorker get a surprise when they flip through the August 22nd issue—Target purchases all the ad space in the magazine. 2007: The Target School Library Makeover Program makes over its first school library with help from The Heart of America Foundation. Today, Target has given more than 1 million books to school and students through SLMs. 2008: Lights, camera and taking action! Target teams up with EcoSet to incorporate environmental sustainability into its advertising shoots. 2009: You know her. You love her. The “Christmas Champ” makes her first appearance in a Black Friday campaign, decked out in her signature red jump suit, smelling of eggnog and gingerbread. She’s become a fan favorite—inspiring doppelgangers and copycats. 2009: Fresh food offerings are expanded into stores nationwide, offering guests more options than ever before. Dig in for dinner! 2010: Just in time for spring, Target launches a limited-time partnership with British fashion house Liberty of London, marking the first time a collection spans across multiple merchandise categories—from home and garden to fashion for the entire family. 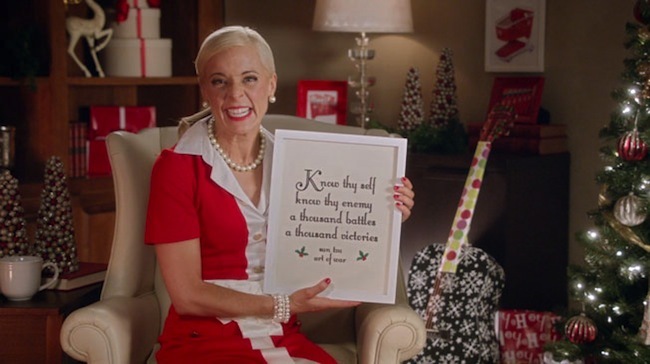 2010: After three successful years of School Library Makeovers, Target announces a $1 billion dollar commitment to education by the end of 2015. 2011: Our northern neighbors—Canadians—won’t have to travel south to shop Target much longer. Target announces between 125 and 135 Target stores will open across Canada by 2015—from the Maritime province to British Columbia. 2012: There is a lot going on this year! The Shops at Target, a new design platform that brings small specialty stores from across the country to Target, launched in May. And this summer the first CityTarget stores will open, bringing a unique shopping experience to urban dwellers. Here’s to the next fifty!